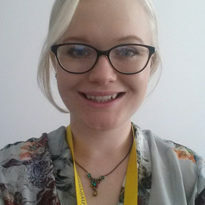 Catherine joined CCCEP as a Research Administrator in July 2017, and also works across other centres at the University of Leeds including CIE-MAP and UKERC. Catherine studied BSc Geography at UCL before moving to Leeds to complete an MSc Sustainability focussing on environmental policy. She has previously worked at the Sustainability Service at the University of Leeds and in an energy consultancy before moving to CCCEP.